US-headquartered speciality chemical firm Eastman Chemical introduced its business strategy of engaging the whole value-chain to grow volume of its Tritan copolyester during the Media Day, held a day before the start of Chinaplas 2016. Tritan copolyester is a new generation of copolyester introduced by Eastman in 2007. 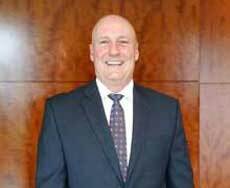 Since its launch, it has become one of its most successful materials and fastest growing material to penetrate the market, said Randy S. Beavers, Regional Business Director, Asia Pacific and Global Sales Director of Eastman Specialty Plastics. “Key properties include toughness, heat resistance with higher heat resistance opening up the world of opportunities for products. It is also BPA and EA (Endocrine activity) free and chemical resistant so it can be used in oncology drugs. It is moulded with low residual stress and finally it has clarity and gloss,” rounded up Beaver on its features. Beavers explained the four main markets for copolyesters: durables, medical, retail/architecture and packaging (he stressed that Eastman is a leader in shrink label market and cosmetic packaging and that Tritan is used by most major brands around the world). Thus, the material has found use in blenders, food processors, hydration bottles, consumer and commercial houseware, water filtration and since Tritan is a BPA-free material, it is applied to food contact consumer products, such as water bottles, baby bottles, housewares and small appliances, said Beavers. 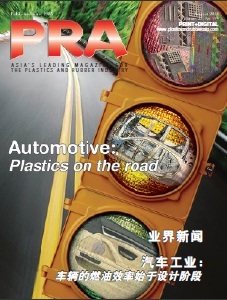 BPA and EA free in China markets are no different than in China, said Beavers, adding that these markets are “hot”. “However, in the housewares market, China’s take-up is much less than Europe and the US,” he added. Eastman has been working in the value system since 1995 and with Tritan, Beaver says, Eastman has expanded its focus in value system marketing and sales with almost 98% of customers being new customers. “Tritan has been winning acknowledgment in the past years, the secret of which lies in our continuous efforts to seek win-win cooperation with partners across the whole value chain, including designers, moulders, distributors, brand owners, retailers, and even consumers. Through close collaboration, we work to meet partners’ expectations, making them understand the value of Tritan so as to promote a wider application of Tritan,” said Beavers. He said that most of Eastman’s time is spent with non-buying customers ie designers. For moulders, apart from regular technical support, Eastman offers dryer audits, moulding trials, mould flow analysis and final product testing. “We have a moulding lab in Shanghai that was opened two years ago to do moulding trials,” explained Beavers. Eastman has also developed a multi-lingual platform ‘Tritanmoldit’, providing online technical assistance to customers around the world. It also works together with designers to provide material recommendations and work together with them to review product design. It has two design engineers in China to undertake work in Asia. For brand owners who have direct influence on consumers, Eastman offers an all-round assistance from product design, development and testing to marketing and branding. Beavers says that with brand owners, Eastman engages a lot to reference the right material use. “China’s 13th Five-year Plan will stimulate a new round of consumption and industrial upgrade. A strong pursuit of better living standard among the public will drive the demand for Tritan. We will keep on working with partners along the value chain and promoting China’s consumption and industrial upgrade in joint efforts.” Randy added. Does value chain selling work? “Yes it does,” said Beavers, showing journalists a list of international brand owners Eastman has worked with over the past few years. He also gave an example of Ninja where complaints and returns have been eliminated for their blenders, compared to the previous use of material. Located in Tennessee with 15,000 employees and 50 facilities around the world, serving customers in 100 countries, Eastman’s 2015 revenue was US$9.6 billion. Eastman is the only supplier of Tritan copolyester in the world and is looking at expansions and investing in this area, said Beavers, without mentioning the capacities it has. 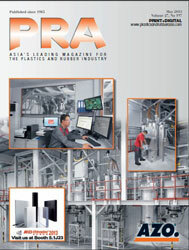 Business is growing in double digit growth for speciality plastics. In conclusion, Beavers says that Eastman’s value system differentiates its as a resin suppliers.